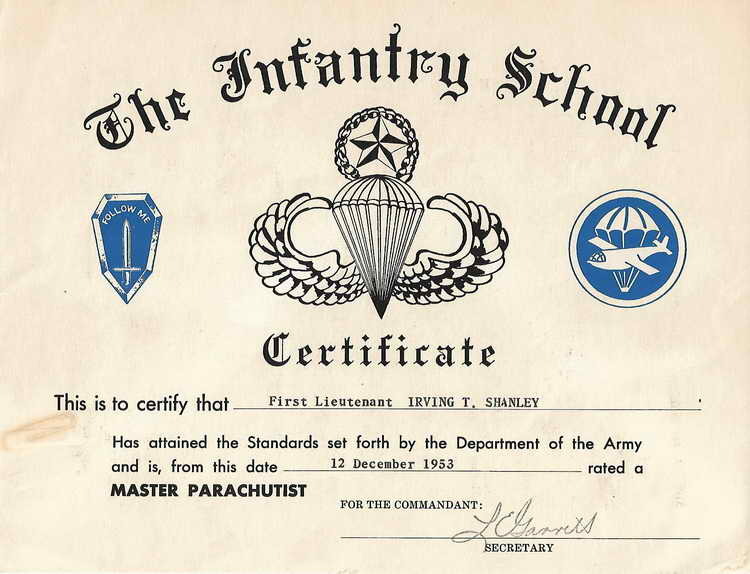 1st Lt. Irving T. Shanley was presented this Master Parachutist certificate dated 12 December 1953. Amongst the criteria to met in order to be eligible for the Master Parachutist Badge, an individual must have participated in a minimum of 65 jumps including twenty-five jumps with combat equipment. Four night jumps must also be made during the hours of darkness, one as jumpmaster of a stick.